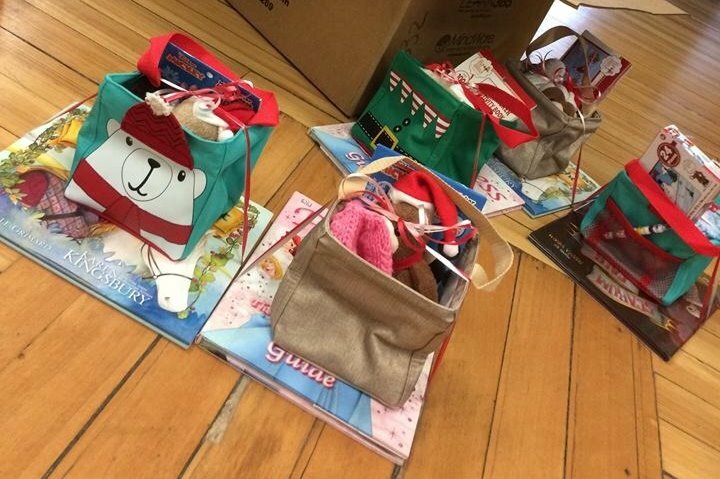 This tiny community school of only 175 students could use a spirit boost for the holidays. Some of this close-knit community have seen 4 wars... Many of the community speak English only as a second language. What we all have in common as that we're all involved with this amazing school... and it's in the lowest income part of Plymouth. While the school receives ample help and programs to help fund things like free breakfast and lunch for all kids, free meals during the summer for families who might not get one otherwise, food drives every single week set up by the school nurse, a library program that allows every child to go home with a free book to keep and a game to borrow as well as a snack and activities, these kids deserve as much as we can give them for the holidays. I work very closely with this elementary school as a parent to help my special needs child have the best possible education, and I run all the book fairs there--which has shown me what absolutely remarkable, open-hearted, open-minded, promising kids this school is lucky to have. For Christmas I want to give them each something special. I hope to personally sell enough bags themselves to cover all 175 children. This fund is specifically for the materials I want to fill them with. 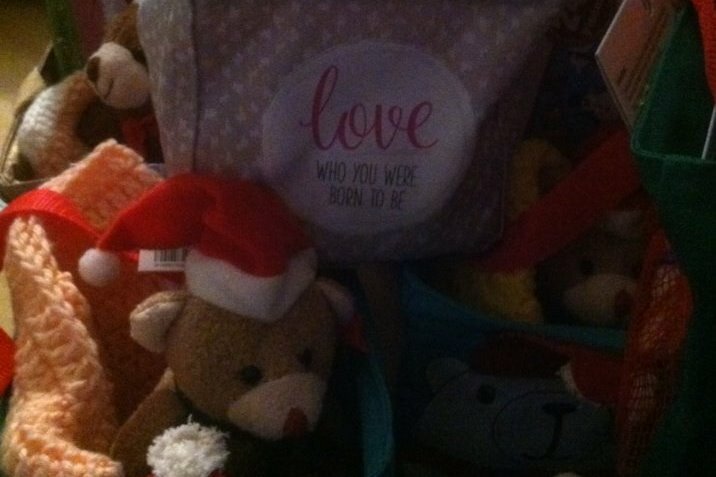 Specifically a stuffed animal to love, hats and gloves that they need, a craft project and some crayons and coloring pages for fun, and a book to read. Someone has been kind enough to offer to make hats for all the kids--yarn may be an issue. The crafts I've picked out range from 50 cents to $1.50 a piece. I'll choose which one depending on how much is raised. The crayons are cute stackable crayons, totally $105. The stuffed animals are bulk and really cute. They'll be $207.00. And like with the crafts, if I can do better, I will, depending on the amount I raise. Additionally, if I raise more than the minimum I need, I'll either fill them with nice coloring books rather than coloring pages, or a second craft. I'm certainly open to suggestions as well! Thank you all for reading this, and for caring about this little school! For some of these kids, it may be the gift they always remember. I want to be a part of that, I want you all to be a part of it. Thanks again, and let me know what questions I can answer for you. I’m overjoyed to update you all on this project. This project that became more than I’d ever expected. With your help, I was able to give EVERY SINGLE CHILD, including 4 new students coming in after the holidays, something they’d want, something they need, something to snuggle and something to read: high quality crafts like paint-your-own trains, airplanes and windup toys, thick, warm socks or handmade hats, plush teddy bears, and a brand new, age-appropriate book from Scholastic. Beyond that, this project brought together an already close community in ways I hadn’t anticipated. Friends meeting in parking lots to hand off yarn so others could make hats, people mailing yet more yarn from across the country, busy parents sending pics of toys and gloves they’d found during their Christmas shopping, an hour-long trip to spend 3 more hours hand-picking books from a Scholastic warehouse, missing an entire day of work. Texts at all hours… it was amazing. The best part was the very last day of school, a half day and the habitual pajama day at the school. 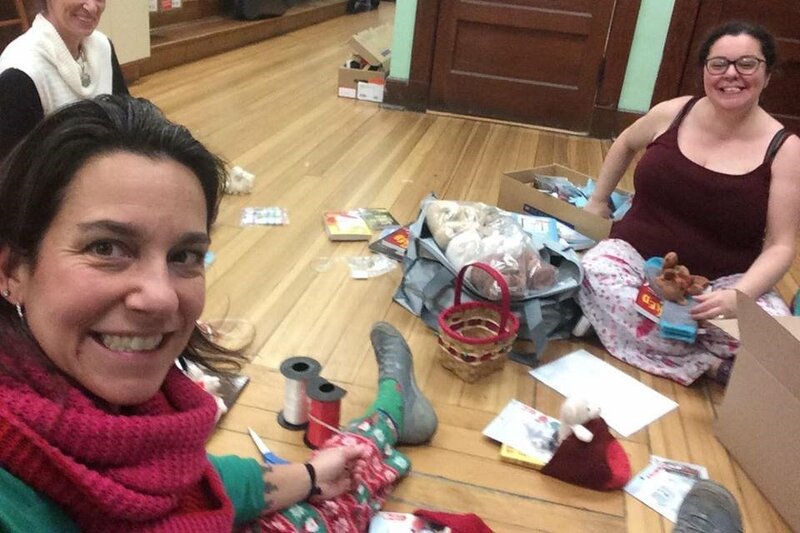 Where a bunch of us moms (also in our jammies, just like the teachers and students and principal and administrative staff), sat on the old school floor over coffee and donuts and finished up assembly of these gifts to the sound of 180 kids in the gym at the Christmas singalong, all of us laughing and filled with joy and excitement, from moms to the maintenance staff, all enjoying this time together doing a wonderful thing. It’s a day I will never forget. 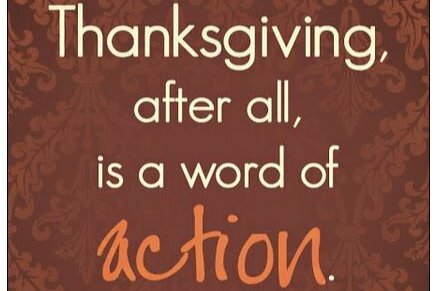 For the kids’ privacy, I’m not posting their pics, but know that I’ll be receiving thanks from them and seeing them at school with the crafts they did over vacation and their teddy bears often. So many of them thanked me, hugged me… So many wore those hats at dismissal, teddy bears in their arms. By donating your money, you gave me a tool to come together with this community and do something we’re all proud of, something we’re never going to forget, something that made us even more of a family and brought us new parents that were looking for a way to help. Thank you. I hope this generosity of heart follows you into the new year. I cannot believe we doubled the original goal to fill these bags for the kids! This was more than I could have hoped for and an incredible kindness on the parts of so many of you. THANK YOU for this help. Thank you for thinking of these kids and keeping them in your hearts. I'll be closing the campaign tomorrow at the end of the day as I made a mistake in putting the school name on there. I NEVER expected the campaign to explode like it did, never thought it would collect much of anything, and thought telling the school story a little might add some validity to it, give you some peace of mind as donors, but next time? I should check with the superintendent, hmmm? I'LL BE CLEAR that this fund was NOT part of a school-initiated fundraiser, it was entirely personal and continues to be, just a way to give. Thank you all so much for your generosity! And I'll post pictures of the final products with an update! Happy holidays, wonderful people! I am beyond floored by the response this donation page has received. Overwhelmed by what it can do for these children. I didn't quite think it possible, honestly to even do the $600. To just get the versatile, good quality totes is daunting enough, and not panning out as well as the donation page. So we adjust, and we Plan B, and we try new things, and create new ideas! I feel more full at heart about this project than ever now, more excited than nervous. I'd planned to buy gloves for all the kids for something they need, but somehow people started making hats! Beautiful, made with love hats, and yarn is being shipped and shared and the buy-in is stunning. So let's keep going! Let's raise more and not stop doing this remarkable thing together! I can't thank you all enough.